Medical image-based 3D cardiac models have grown rapidly in the last fifteen years due to the advance and consolidation of imaging systems such as magnetic resonance, computed tomography and real-time 3D echocardiography. One of the most challenging task in the development of a 3D cardiac model from in vivo imaging is the segmentation of cardiac structures. This task is the first step towards the analysis of heart anatomy and function. Whole heart segmentation focuses on the localization and detection of the following regions: the left ventricle (LV), which starts at the mitral valve and is composed of the main LV chamber up to the apex and stops at the aortic valve; the right ventricle (RV), which begins at the tricuspid valve, comprises the RV chamber and ends at the pulmonary valves; the left atrium (LA), which start at the pulmonary veins and ends at the mitral valve; the right atrium (RA), which start at the superior and inferior vena cava and ends at the tricuspid valve. In recent years, a variety of methods have been developed for cardiac structure segmentation paving the way for “personalized” medicine in the clinical setting. In this chapter we will briefly review the most recent and advanced approaches for cardiac image segmentation. 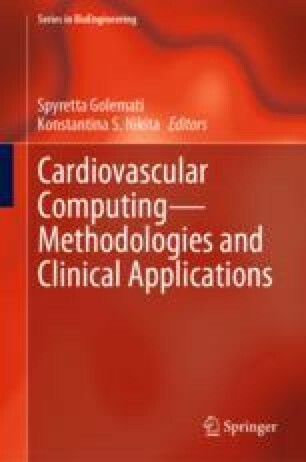 The chapter is organized in three main sections dealing with the imaging modalities used in clinical practice for cardiac structure and function assessment. A fourth section is focused on the open access validation tools for cardiac structure segmentation nowadays available. Each section is divided in paragraphs in which we will describe the different techniques developed for the specific cardiac structures. Martino Alessandrini received funding from the European Union’s Horizon 2020 research and innovation programme under the Marie Skłodowska-Curie grant agreement No 659082.